KHovnanian purchased 86 lots in Maricopa Meadows. KHovnanian Homes, known also as KHov, has recently purchased the 86 empty lots in Maricopa Meadows to build six new floor plans. According to tax records, KHov paid $4.5 million dollars for the lots and is ready to build the first homes in the subdivision since 2007. The current plan is to build single-story homes on all of the 86 lots. The homes will start at 1,351 square feet and go up to 2,242 square feet. All of the homes will come standard with a two-car garage, but a three-car garage is optional. The most unique feature about the homes is that the larger floor plans will be highly customized, especially with the bedrooms. The 2,242-square-foot home can be built with a “mother-in-law suite” aka “multi-generational home,” the name may vary depending on the part of the country you come from. The “mother-in-law/multi gen home” features a separate living area, kitchenette, bedroom and bathroom with a separate entrance from the outside of the home being optional. This set-up could be perfect for relatives or generating income for investors. This set up can only be done in the largest floor plan(s). Model home pricing has not been determined and floor plans are subject to change. The last time a builder was in Maricopa Meadows was just before the market crashed when builders Turner-Dunn, Elite, Brown Family and Homelife occupied the Meadows along with several other builders. While KHovnanian is based out of New Jersey, this won’t be their first subdivision in Maricopa. KHov used to have model homes and built many houses in Alterra in 2005-06. KHovnanian joins Richmond American homes as being the latest additions to the Maricopa new home scene where one-third of the homes currently listed for sale are brand new. The least expensive home sold Jan. 16-Feb. 15 sold in an online auction by the owner/agent in January. 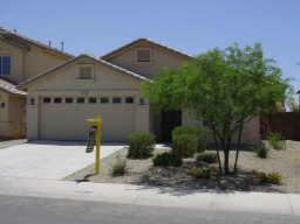 A two-story, four-bedroom, no-frills house, it is nearly 12 years old with basic desert landscaping front and back. The most expensive home sold in Maricopa from Jan. 16 to Feb. 15 was a brand-new spec home by Fulton Homes in the Sycamore section of Glennwilde. Sporting tons of upgrades, from faucets to hardware, it has four bedrooms on one level and was on the market less than two weeks. Though having no landscaping yet in the backyard, the home is 2,500 square feet and comes with a three-car garage. In the entire year of 2018, there were 2,041 homes sold in Maricopa. Of those homes sold 1,927 of the homes were located in Maricopa’s subdivisions led by Home Owner’s Associations. Only Five percent of the homes sold in Maricopa were in areas not guided by HOAs. The number of sold homes compiled in the average. For instance, in the entire year of 2018, only 8 homes sold in the subdivision of Palo Brea. A single low sales price will affect the average more than other areas. The subdivisions where new home construction is occurring may have a higher average because the builders sell their homes at a higher price per sq. ft. than a resale home! Subdivision Average price/ sq. ft. Please note: These are averages. Your home may be above or below the average. Your home may be highly upgraded, or have a pool. Single vs. two-story can make a huge difference. Every property should be looked at individually by a licensed local Real estate agent to get a more precise valuation. 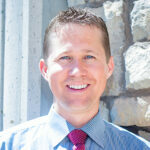 Brian Petersheim is a Real estate agent with Homesmart Success. The least expensive home sold in Maricopa from Dec. 16 to Jan. 15 was a three-bedroom in Sorrento that last sold at the end of 2016. It has been off-and-on the market and used as a rental. It sold for its list price. Originally listed in August, it was almost sold in December but financing fell through before closing. This item appears in the February edition of InMaricopa. To say the least, 2018 was a good year for housing in Maricopa. Prices went up, availability tightened a bit and 101 more houses sold compared to the year before. Meanwhile, house construction continued at a rapid rate, proving builders are bullish on Maricopa. The month of May was particularly hot, with 106 building permits filed. Year-over-year, building permits increased 34 percent. The number of active listings stayed fairly consistent, as did the average number of days on the market, which is slightly above the Valley average. The average selling price in Maricopa by year’s end had increased to $214,000, still well below the Valley average of $235,200, which might explain the continued housing demand in Maricopa. While the number of homes for sale was shrinking, it was even more difficult to find a house to rent in Maricopa, and rents climbed to an average of $1,300. The nationwide shortages in construction supplies and labor were felt in Maricopa and may contribute to higher home prices when houses currently under construction go on the market in 2019. Mortgage rates also went up during 2018, putting more pressure on buyers. For the most part, 2018 was a seller’s market in Maricopa. That will likely continue in 2019. Potential homebuyers are expected to enter the market by spring to get ahead of rising prices. In the past, blogging topics have focused on buying/selling homes and the real estate market in general, but this time I wanted to change things up and focus on renters. Renters in Maricopa have always been an asset to our community. People rent homes for many reasons instead of buying a home. 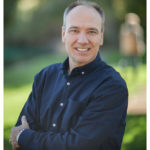 The most common reasons that are mentioned are getting the “lay of the land” in Maricopa, maybe making sure the commute is acceptable, and deciding on a specific community to lay their roots down. Another common reason to rent is to work on credit scores and employment history to be able to qualify for a home purchase. I have broken down this blog post into two parts. The first is the Maricopa rental market in general and the second will be tips and tricks to increase your chances of getting into the rental home of your choice. At the current time there are about 18,000 homes built in Maricopa, but there are only about 33 homes for rent right now, which is a very low inventory. With the rental market as tight as it currently is with supply, a prospective tenant needs to put their best foot forward when applying to rent a home. These are some tips and tricks to help a tenant get into the rental home of their dreams and set them above the competition. 1. Know what your credit report looks like before you find the home of your dreams. The landlord will receive a copy of your credit report and you want to make sure there are no surprises. If there are any extenuating circumstances or errors on your credit report, write a note to the homeowner to be submitted with the application explaining the issue. If they don’t see the note they won’t know the reason and may be more likely to pass on you for renting. The landlord may also run a criminal background check. 2. In in a landlord’s market, where the landlord may have multiple choices of tenants it would be wise to have a positive letter on hand from previous landlords. In cases where you don’t have a previous landlord, a letter from your direct supervisor at work telling what a great and long-term employee you are may help . Submit the letter with your application. That letter will weigh greatly with the prospective new landlord’s decision. 3. Make sure you invest in renters insurance. The homeowner’s insurance policy will not cover anything that doesn’t belong to the homeowner. The insurance is relatively inexpensive and covers everything that you own in the house, in case of some kind of disaster you and your belongings will be covered. 4. Have your real estate agent reach out to the landlord’s real estate agent to confirm the house is still available and ask if there are any applications pending. Generally when you apply to rent a house there is a fee involved for each applicant over the age of 18. If there are multiple applications already submitted, knowing that would be important for someone, before using their hard earned dollars for an application fee. The most expensive home sold in Maricopa Nov. 16-Dec. 15 is a 4,000-square-foot house on a 14,000-square-foot lot in The Villages. Its price tag was 12.8 percent higher than its previous sale 17 months earlier. The five-bedroom house is two stories with a master-suite balcony overlooking a private pool. 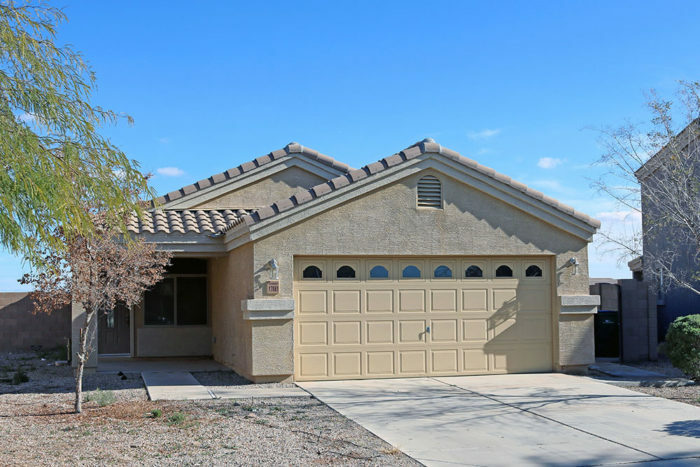 The least expensive home sold in Maricopa Nov. 16-Dec. 15 is a one-owner home in Homestead that is 1,400 square feet on a desert-scaped lot. Built nearly a decade ago, it is well-maintained and across the street from a park. A one-owner, single-story home in Province was the most expensive home sold in Maricopa Oct. 16-Nov. 15. Sellers took $6,000 off the asking price to sell in less than two months. The lakeside property includes a three-car garage, beautiful courtyard and covered back patio with built-in barbecue and a fire pit. The least expensive home sold in Maricopa Oct. 16-Nov. 15 was a two-story with a history that tells the story of the recession in Maricopa. First listed eight years ago for $65,000, it initially sold seven years ago for $850 as a short-sell and again nine months later for $800 and finally went for an all-time low of $775 before the economy began to recover. The most expensive home sold in Maricopa Sept. 16-Oct. 15 was a two-story in The Villages. The 12-year-old home has a pool, gourmet kitchen and professionally landscaped yard, as well as a master-suite balcony overlooking a gorgeous backyard. The cost of the home went up nearly 73 percent since the recession. It had been on the market for less than $200,000 in 2011. Now with many upgrades it fetched $360,000. Features: Split-level downstairs, upstairs loft and master suite, three-car garage, RV gate, stainless steel appliances, kitchen island with breakfast bar, heated swimming pool, outdoor fireplace. The least expensive home sold in Maricopa Sept. 16-Oct. 15 was on the market less than a month in the Smith Farms subdivision. Its selling price of $147,500 was less than a percentage point higher than the last time it sold in 2007. The one-story house overlooks a greenbelt and includes an eat-in kitchen. The end of summer typically brings with it the sluggishness of the Maricopa housing market for the cooler months. Last year, for instance, the median price for a closed/sold home was $190,000 in September and stayed the same in December. You can also expect fewer homes going under contract when the market is flat. In 2017, Maricopa had 157 homes that went under contract in October. That dropped to 134 in November and then 106 in December, according to Multiple Listing Service (MLS). As sales slow, the number of homes on the market increases. 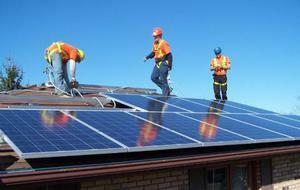 That coincides with an increase in active homes in the Maricopa market during the fall months. The market is expected to behave the same way this autumn, too. Though a stagnant housing market is often a buyer’s market, families looking for new homes usually search toward the end of the school year, so they can move over the summer. And while October is “snowbird” season and visitors from the Midwest and Northeast return, Canadians do not seem to be having the same impact on the housing market as they once did. Canadian ownership is now under 5 percent, according to Empire West Title Company. The exception to the flat fall market is Province, which is expected to see an upswing in activity, as they do get a lot of buyers who are in Maricopa only during the cooler months. Meritage Homes at Province is ramping up its spec homes. It has 14 completed and available specs right now, nine more were started in September and 22 spec homes are scheduled to start by the end of November. 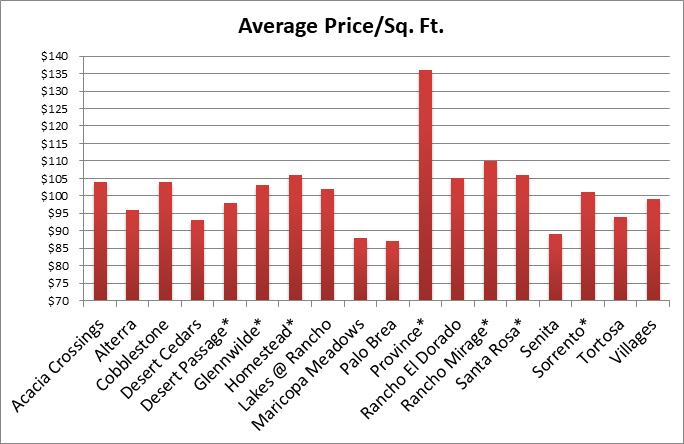 The least expensive home sold in Maricopa from July 16 to Aug. 15 was on a corner lot in Tortosa. A victim of the recession (it once sold for $750), it made a gradual comeback. It’s selling price of $158,000 is 66 percent higher than its last selling price in 2013. The standard three-bedroom home has a split floor plan and a covered patio in the backyard. 19352 N. Costa Verdez Ave. The most expensive home sold in Maricopa from July 16 to Aug. 15 was a two-story, four-bedroom house in Palo Brea. This is the third time the home has been sold since it was built in 2007. Its $320,000 price was 16.6 percent higher than its selling price 18 months ago. All four bedrooms are built like masters, and the 4,500-square-foot home sits on a 10,000-square-foot lot that includes a pool. Traditionally, a down payment on a home is 20 percent of the sales price. This allows a buyer to avoid paying a monthly fee for private mortgage insurance. But saving up 20 percent is often a struggle for potential homebuyers. The median sales price in Maricopa is around $210,000, which would require $42,000 down. This is why down-payment assistance (DPA) programs remain in demand. In 2016, the Pathway to Purchase (P2P) program allowed Maricopans to receive a grant of 10 percent of the price, up to $20,000, to be used towards the down payment. The P2P program returned last month for selected zip codes, including most of Casa Grande, but unfortunately Maricopa was not on that list. There are still other DPA options for homebuyers in Maricopa. And DPAs are not just for first-time homebuyers. Administered by the Arizona Industrial Development Authority, the HOME Plus Home Loan Program provides a 30-year fixed-rate mortgage combined with DPA up to 5 percent. The assistance is provided in the form of a three-year, no interest, no down payment, second mortgage, completely forgiven at the end of three years. The DPA can be used toward the down payment, closing costs or a combination of the two. Active military and veterans can receive an additional 1 percent. For those who do not qualify for these programs, there is still a standard 3.5-percent down FHA loan program, which is the most common in Maricopa. The 0-percent down USDA loan program also still exists, but is only for specific geographical areas, and not an option within the city limits of Maricopa. A 620 credit score is often thought to be the minimum to qualify for financing. Many renters don’t begin to even think about looking for homes until their score is in the 600s. FHA actually sets a minimum score of 580, but mortgage companies often will add their own “overlays” on top of the federal guidelines, bringing it back up to a 620. Fortunately, there are some lenders with niche programs available to help potential buyers with less-than-great credit. 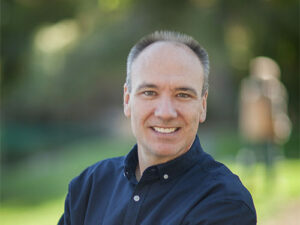 Carrington Mortgage Services, for example, has options for VA and FHA loans with a credit score as low as 500. The FHA loan requires a higher down payment of 10 percent, but the VA product does not require any down payment at all. The previously mentioned HOME Plus program has a 620 credit score with most lenders, but there are several companies that will accept scores under 620, including Flagstar, Carrington, Bank of America and Quicken Loans. Every lender will likely have different requirements for qualifying. In addition to credit score and down payment, other factors such as debt-to-income ratios and cash reserves will come into play. Based on your personal situation, your real estate professional and lender can direct you to the best financing programs available. If you are looking to buy or rent, then it can be hard to get the right house and the right deal by viewing houses part-time. The highly sought after upgraded, unique or pool homes may only last on the market for a few days. Currently in Maricopa, we only have 2.1 months of supply compared to the 2.9 months of supply this month in 2016. Fewer homes are on the market, and those with distinctive floor plans and curb appeal will attract many of the same buyers. Average days on the market for a Maricopa home is 82 days, with homes under $200,000 selling fastest averaging 56 days. TIP: Ask your local Real Estate agent to reach out to their colleagues about any upcoming listings and ask for a sneak peek if allowed. If you are thinking of selling, then the market is currently in your favor. Consider doing an interior painting, carpet cleaning and decluttering for your showings. While the median price in Maricopa is $235,000, prices have increased 9.5 percent from Jun 2017 to June 2018. Opposite of the prices, actual supply of active homes listed is down 12.2 percent from June 2017 to June 2018. TIP: Tell your agent you want the home to hit the Multiple Listing Service on a Thursday to get the most traffic in the first few days because of the weekend. Also, have the professional pictures done a couple of days in advance. They should be included when the listing initially goes live. These are the numbers for the city of Maricopa for the week of June 12. These numbers only focus on the homes in HOA’ed subdivisions. • $164,500 = Least expensive home available. Notes: 3 bed/2bath plus den, 1,302 square feet in Tortosa, with covered patio and vaulted ceilings. • $419,000 = Most expensive home available (non-Province) Notes: 4bed/3bath, 3,023 square feet, single story in Glennwilde on quarter-acre with heated pool, water fall, new owned solar, granite and two new air conditioners. Bottom line: The market is strong, and homes that are priced competitively are selling. Get out there and meet your new neighbor. Any questions about value or the market, please reach out to me. Brian Petersheim is a Maricopa Realtor with HomeSmart Success. 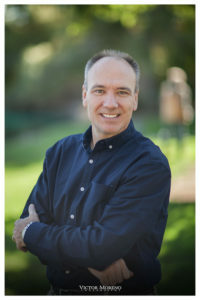 He can be contacted at 602-206-9644 or BrianPetersheim@gmail.com. The least expensive home sold in Maricopa April 16 through May 15 was a 20-year-old mobile home on a large lot in the Heritage District. It sold for $79,500. The property was last on the market in 2005, when it was priced at $120,000. This time, it sold in a little more than a month for its asking price. The heat is rising for renters who are navigating fewer options among ever-increasing prices in the city this year. Investors are selling their rental properties to cash out on their equity. Canadian landlords are also benefiting from the local market by getting about an extra 25 percent return, thanks to the currency exchange rate. These factors have helped create the decreased supply Maricopa has seen in recent years. Through mid-May, only 23 listings were available to renters. All but one had been on the market less than 30 days. Last year at this time, some homes were renting for $900. Today, no listings go for less than $1,100; and only three homes were available for less than $1,200 per month. In a competitive market, landlords often get more than one application and can be more restrictive on their terms, like not allowing pets. Tenants with less-than-perfect credit can increase their chances of getting approved by including with their application a referral from current and previous landlords. They could also offer to pay a higher security deposit – which, by state law, cannot exceed 1.5 times the monthly rent amount. Buyers should be wary of advertised rentals on Craigslist or other classified websites that seem too good to be true. In most cases, there is no cost for using a Realtor, and they can help make sure the home is not in foreclosure and that a legitimate lease is signed. As rent prices go up, renters may want to consider buying, because payments will be about the same. A $160,000 home can be owned for less than $1,200 per month. There are several mortgage companies in Maricopa that a potential buyer can sit down with for a free no-obligation credit evaluation. As summer approaches and the weather warms up, the thought of having a backyard pool becomes more desirable. But many people are hesitant to add one, thinking the cost is too great, and the return on investment will be too small when it’s time to sell. In Maricopa, however, neither seems to be accurate. Most appraisers will say a pool adds $10,000 of value to a home. In some parts of the Valley, pools are very common. Over the last month in Chandler, for example, almost 50 percent of the homes sold had a pool. But in Maricopa, the number of properties with pools is quite low. Over the same 30-day period, only 22 of the 178 closed homes had pools (12.3 percent). Therefore, the added value is much higher than $10,000, often $25,000 or more in retail value. So, what does it cost to keep cool? A basic 80-foot perimeter pebble tec pool, with a maximum depth of 5 feet, should cost about $22,000, depending on the access to the yard. This means in most cases you will get at least a 100 percent return on investment. If you add other pool features such as a waterfall, spa, in-floor cleaning system or heater, the price will jump quickly and the overall return for the pool investment will decline. Another factor to consider is the “days on market” when you list your home for sale. Properties with pools tend to sell much faster than those without. In the last month listings, Maricopa homes without pools took an average of 73 days to sell, while homes with pools sold almost twice as fast, in only 37 days.